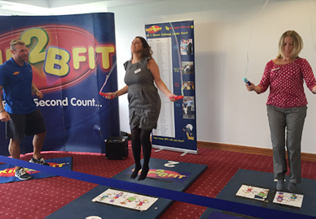 The second stage of the Skip2Bfit App has now been released. It can be downloaded from the Apple App Store and Google Play store for Android Phones. 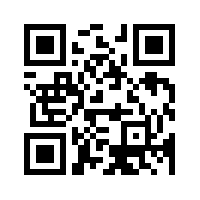 It can also be downloaded using the QR Code below. The Skip2Bfit App is the world's first voice over motivational app. It has one free 2 minute track which can be used to time a 2 minute skip. In total this is an 8 minute HIIT fitness routine. 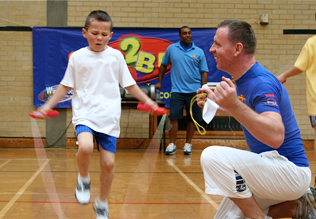 Using a Skip2Bfit rope skip throughout the 2 minute tracks. See hpw many skips you do in total. Work out your average or simply use the best score. Try to improve on your score as your fitness improves. 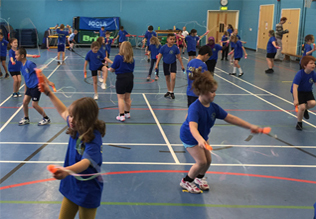 How many skips can you do? HIIT Training has become very popular recently as more and more research has been done on the benefits of it. Studies have shown that High Intensity Interval Training is better at improving fitness levels than long continuous fitness sessions such as jogging. If you are skipping as fast as you can following our music track then this is HIIT. Why not give it a go?